Ann Douglas | Pen Parentis Literary Salons | Parenting Done. Write. I write Short Stories, Creative Nonfiction, Memoir, Other. Originally from Toronto, Ontario, Canada, I currently live in Peterborough, Ontario, Canada. I am also a parent. See ANN DOUGLAS’ WEBSITE here. 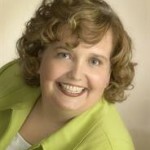 Ann Douglas is the author of 23 books, many of them bestsellers about having a baby or parenting. Her works include the second Canadian and American editions of The Mother of All Pregnancy Books (Wiley Canada, 2011, Wiley US, 2012); and The Mother of All Baby Books (Wiley Canada, 2012). The books in The Mother of All book series have sold over half a million copies in North America to date. She has created and delivered parenting courses for high-profile websites such as WebMD and AOL as well as on behalf of government clients and Fortune-500 companies. “Literary Brainchild: Brain, Child: The Magazine for Thinking Mothers.” O’Reilly, Andrea. The 21st Century Motherhood Movement: Mothers Speak Out on Why We Need to Change the World and How to Do It. Toronto: Demeter Press, 2011. “Meet the Mommyblogger.” Friedman, May, Shana L. Calixte, and Judith Stadtman Tucker. Mothering and Blogging: The Radical Act of the MommyBlog. Toronto: Demeter Press, 2009. “As Great As Trees.” Anderson, Kyra, and Vicki Forman. Gravity Pulls You In: Perspectives on Parenting Children on the Autism Spectrum. Woodbine House, 2010. “Campaign Confidential.” MacDonald Strong, Shari. The Maternal is Political: Women Writers at the Intersection of Motherhood and Social Change. New York: Seal Press, 2008. “The Food Rules.” It’s A Girl: Women Writers on Raising Daughters by Andrea J. Buchanan. New York: Seal Press, 2006. Numerous Canadian writing awards (service journalism, parenting book awards, children’s books, non-profit copywriting).